The Insurance Regulatory and Development Authority (IRDA), on Tuesday, accepted the demand of general insurance companies to provide compulsory third-party insurance cover for two-wheelers for a period of three years in one go, as against the current practice of annual renewal. However, the own-damage cover can be renewed annually. If everything goes fine, the same could be replicated for four-wheeler and commercial vehicles, the regulator said in the circular to all general insurance companies. According to the industry experts, this move would help general insurers increase their premium collection and reduce policy issuance cost, which could also lead to lower premiums as insurers could share the cost savings. Besides, it would also be convenient for customers to get their vehicles insured for three years in one shot. 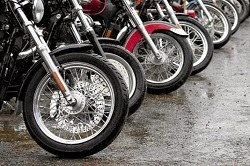 “In the two-wheeler segment, there are a large number of owners who forget to renew their policy after the first year and a long-term cover will help reduce the number of uninsured vehicles on the road,“ said New India Assurance Chairman Mr. G. Srinivasan. As per the circular, the total premium for third-party insurance cover for three years would be 3-fold the annual premium, and no revision in premium can be made during the tenure of the policy. Other terms and conditions will remain the same as against the one year policy.